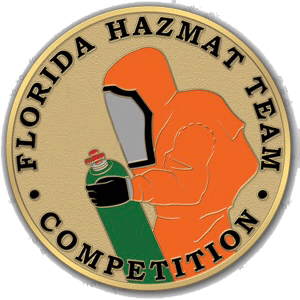 Held every year in conjunction with the Florida hazardous materials training symposium, the 2019 Florida Hazardous Materials Team Competition occurred on January 22nd, at the Volusia Fire Training Center in Daytona Beach. Competing teams were comprised of three hazardous materials technicians and one optional alternate. 1st place went to Delray Beach Fire Rescue, 2nd place went to Lake County Fire Rescue and 3rd went to the city of Orlando Fire Department. Thanks to Industrial Scientific Corporation, Kappler and Safeware Inc for their tremendous support of this years competition. All twelve competing teams showed excellent abilities and we appreciate their participation. Hoping to see them all again next year.